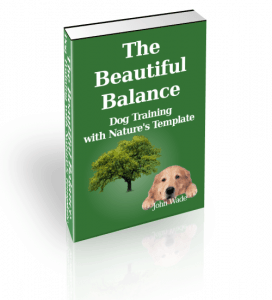 Aggressive Rottweiler – Unbalanced or Victim? I was recently bitten twice in the thigh during a brief visit to my neighbours by their 130 lb. 2-3 year old Rottweiler. He was fixated on me when I entered and began to circle me, barked and then started biting. I did not yell or attempt to resist as I felt sure it would escalate an already aggressive Rottweiler to my further detriment. I managed to get back out the door and went for medical attention. The owner did not react at all. In fact I would say she froze in shock. It seems obvious now that they are inexperienced with this type of behaviour and breed. I believe this dog is capable of much worse. Do you have any suggestions as to how I can approach this situation and help them to understand the severity of their dog’s aggression? I suppose you could try and have a chat with them but I don’t know what you’d say that an obviously aggressive Rottweiler hasn’t already said loud and clear. If they’re so out of touch with reality that someone needs to explain to them that when a 130 lb. adult aggressive Rottweiler attacks a guest it’s a little more serious then pooping on the wrong lawn and in the short and long run it might serve everyone better if the police explained the difference between a owning a companion dog and keeping a gun with a brain. We cut dog owners way too much slack when it comes to aggression. What with one out of two children being bitten by a dog before they reach adulthood I have to wonder if we don’t need to start doing less chatting and more smacking. Far too many people without the need for, or the ability to handle, a guarding breed like a Rottweiler end up learning of their shortcomings at the expense of a victim and the dog. More often then not, one or more victims later the dog gets euthanized, but not because it has, or the breed has, a screw loose, but because far too many breeders will sell to anyone and far too many people put more thought into the toaster they’re going to buy then the dog they’re going to bring home. In the event they bring the wrong breed home, a Rottweiler that in suitably capable hands would have at least had been trained to the extent to ask its owner, “May I bite this one?”, bites without provocation and seriously enough that medical attention is required – and – the best the owner has to offer is to become frozen and pie-eyed. I don’t know what their problem is but in matters this serious we have to remember there is no cure for stupidity and there should be no excuse for ignorance. Either way, aggressive Rottweiler or not, the bite needs to be reported. Even minor bites can get infected, leading to complications that may require compensation. In addition, someone at arms length needs to verify rabies shots and the health unit should be enforcing a 10 day quarantine. If these people for whatever reason fail to give this the serious attention it deserves and someone else gets hurt I’d like to think that litigation becomes the least of their worries. Failing to take reasonable precautions when fully aware of a risk this serious should add the option of criminal negligence. If you want to send these people an eye opening message send them the link to this video: https://www.askthedogguy.com/options-for-an-aggressive-dog showing a second offender aggressive Rottweiler. My 1 yr old rottie has started biting me and my children. What shall i do? I have a 5 1/2 year old Rottweiler and we have had him since he was 8months. He is house trained, responds to commands and has been raised with my children. Lately he has been marking his territory, occasional bowel movements in the house and most important is becoming aggressive. He growled when approached while eating, something he has never done. He even bared his teeth when being reprimanded for a bowel movement in the Childrens room. He has always been even tempere. He has been to the vet for a checkup and was pronounced healthy. Do you have any ideas on the why and on what we can do to discourage this behavior? He has been sociable for his entire life. We love our pet but are concerned that there may be no easing in his aggressiveness of late. It is extremely rare in my experience for a dog that has zero history of aggression for the first 3 years of its life (let alone 5 and ½ in your case) and there not be a significant change in its health or lifestyle. I know you say the vet has cleared the dog but I want to be sure as many vets may not do more then a cursory examination that would be appropriate perhaps for an annual check up whereas in this sort of instance a full blood panel, x-rays and dental exam etc. are in order. If this hasn’t happened I’d recommend that be your first step. If it has or the dog came up clear I would look at what has changed in lifestyle that even indirectly are impacting the dog. Some examples of this are unsupervised yard or window watching time, changes in your work shift, marital status etc. I would need to know more in order to advise further. I have worked with many dogs with this sort of issue and you are correct to be concerned. I don’t even remotely agree. In almost every companion dog setting if a dog exhibits aggression, it is an unwarranted risk. Particularly when that dog is a Rottweiler. If it cannot be taught to exert self-control around food it has no place in a companion dog setting. Fortunately, in most cases, they can learn that it isn’t their food. They just get to eat it. Usually, it’s not even about the food. It’s the relationship and the training is out of whack. My 5y Rottweiler recently attempted to attack me after touching his paw. I recently took “ownership” of him since my brother moved away and just took him to my new house with my boyfriend. I have known him since he was a puppy. He is trained and follows my commands. Today his second day at my house he kept licking his paw so I was in the process of inspecting it for injuries when he lunged and growled at me almost biting my face. This is completely new behavior for him he has never shown signs of aggression. Did the change in environment and me adopting him cause his behavior? He also started growling at my boyfriend. I’m scared he will repeat it and actually hurt me or someone else next time. I have 3 rottweilers and a doberman. I bought my last rottweiler from croatia. He was 7 months old when i bought him. He’s really playful and got very high prey drive. He gets excited too easily. Whenever i tie him up, he would jump and bark aggressively. The matter got worse recently as he’s just 9 months old and bit 4 people, injuring them severely. Every attacks has become more serious and bites has been become more harsh. The worst part is that, he bit the victims he’s so close to. The latest attack was so severe that we could not even pull him off from biting, he locked down his jaws and was shooking his head. The victim had 4 stiches on the thighs. Actually he would behave normally after each attacks. He would get along with the victims again like nothing had happened. So please let me know what’s going on here. Im so confused now, he’s just 9 months old and bit 4 people severely. Any solution for my rottie? Would he become more dangerous in future? The bite level started from 3 for the first victim and now latest attack was around level 5. Any suggestions? My other rotties are so well behaved. I’m not a big fan of tying out any dog as, depending on their lines of sight and the sort of visual access it provides invariably magnifies traits in the dog that were put there for a reason but were not intended to be as overstimulated as can happen in many tie out scenarios. Some dogs’ genetics preclude them from this sort of handling and I suspect this dog is one of those. That would be my first step with this dog (get him off the line – and no looking out windows unsupervised either). I think you may have a high end dog that you are low end handling. Hi John,I have same problem with my 3,1/2 year old Rottie. please can you give me a call or email that we can discuss .I don’t know what tho do with him,i have three boys in the house and afraid to give him for adoption to someone else ,bc he can harm others.What to do? Thanks for writing to me about your dog. It might be a while for me to get back to you in any detail as there are just far too many emails coming in, from around the world, for one person to handle any more. Sometimes I don’t get to some of them at all. However I will say if this dog is bad enough that you fear giving him to another and believe there is a risk to your children, you don’t have any options in my opinion. Put him down. Like your dog and love your kids. I’m not saying that we abandon our responsibility to the dogs we take into our homes but when there is a safety/danger conflict between the duty to the dog and the duty we owe our children, friends, relatives, neighbours etc., the dog loses. If you think you can keep everyone around him safe for the time being and during rehabilitation then there are other options. If you haven’t already, I’d suggest doing a search on my website to see if I’ve written about anything similar that may be of some help. For what it’s worth, I give emails that include video of the dog issue much higher priority as I feel with that element it will help more people reading the column. I’ll give you a heads up should I post a reply so you don’t miss it should it be highly delayed. I also do telephone or Skype consultations if you think that would help. I can send you the details regarding what’s involved and on how to go about booking if you wish. Something up that’s pretty serious. If he has never behaved in such an unexpected manner EVER before, even hints of such behaviour then head to the vet and have his, eyes, ears, teeth, skeletal structure assessed and have a full panel of blood work done. If all clear, then he’s either from bad bloodlines or you’ve dropped the ball in the manner in which you have trained and interact with him. Hopefully that’s all it is as that’s something you can address. This is a byproduct of chaining up an unsupervised Rottweiler in a compound. You can’t do that without it backfiring in more ways then one. Many, if not most guarding breeds treated in this manner end up doing something like this and quite a few of those end up euthanized. 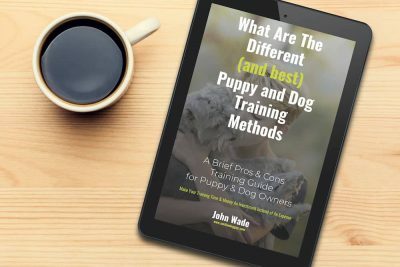 Dogs are learning 24 hours a day, 7 days a week whether there is a responsible adult there to supervise them and let them know what is acceptable behaviour and what is not. What do you think your unsupervised chained guard dog has learned about defending the compound? Simply – Alert, Become aggressive when it sees someone – friend or foe. Practice makes perfect, chain breaks and disaster all around. The insurance companies underwriting policies for businesses prone to tying out guard dogs have convinced most of them by refusing to insure or making the policy premiums reflect the risk they are taking on. There are much cheaper ways to go as the payouts on these types of bites are usually far more then what might have been otherwise been stolen. Ask your insurance company for alternatives and find this dog a proper rehabilitation home if that’s even possible now that he’s hospitalized someone. I suspect his future is rather dark. My husband and I recently rescued a 2-4 (no one knows exact age) rottweiler. He is a big boy 130 pounds and we were not told much of anything about him from the shelter. He has very much picked me to attach to, will not leave my side. However, he has open mouth bit (no closing of the jaw) two of our guests. From what I can tell he does not like/trust men and he becomes anxious. Both guests I had asked not to pet him and to let him come to them as well as not to bump his feet as he is very sensitive with his feet. The first time he didn’t growl and gave no warning. the second time I could sense his distrust and asked the guest to move away and as he moved the dog growled and snapped at him. We live on four acres the dog doesn’t guard against strangers or even bark when we go on walks. I am just cocerned he may hurt someone on accident. Do you have any advice on decreasing his anxiety/ fear so this happens less. He is the sweetest happy go lucky pup other than this. After he snaps he also acts very sorry and tries to luck the person. I grew up with rottweilers but never have i seen behavior like this. Any input would be appreciated. When I was a child it was very rare for dogs to bite people, including kids. I was never bitten and I don’t think any of my friends were either (they never spoke about it if they were). I didn’t have a dog as a kid but I had cats, and a lot of my friends had dogs so I was around pets a lot as a kid. Is this biting trend a recent thing or was I just really lucky as a kid? I grew up in the UK so perhaps this statistic is only applicable to USA? There was (and still is) a dangerous dog ban in place while I was a child – perhaps that makes a difference? I believe this to be real for a couple of reasons. I first read a reference attributing the source to Center for Disease Control in the U.S.A. In searching for the source I came across raw data that confirmed the numbers. Later as my sons went through the school system (Canada not the U.S.A.) I would informally survey their classmates when I was volunteering in the classrooms and sure enough by the time they were 12 years old when the class was asked, “How many of you have been bitten by a dog?”, half raised their arms. I would be interested in learning what the numbers are like in other countries. You haven’t described anything that necessarily says the dog is unstable. What is more likely is that you have more dog than you realize. If you’re treating him like he’s a Golden Retriever these are the sort of results you might expect. This is a very lengthy article I wrote in response to a magazine article where the author felt that as a breed Rottweilers are inherently unstable and should be banned. If you do a search on this website for the word Ferrari, you’ll find some shorter articles making similar points. Please help me! My rottweiler attacked my shih-tzu this morning, then started attacking me on her walk. Chunks of my hair are gone, I have bruises everywhere. Her walk this afternoon was fine, I took her out to play frisbee and One flew over the fence, she could see me. When I opened the gate, she came at me again and would not let go of my arm, I finally swatted her noise and she let go, but then it was attcking my feet and jumping at my face. Scarlett is 5 months old, I had rotties and have never seen a puppy this aggresive. Hope to hear from you! 1. Load the video onto your computer. The file will upload. Once it has, I will be notified by email. I will upload and once I have done so you will receive an email letting you know I have the file.